This year, the University of New Brunswick Faculty of Law celebrates its 125th anniversary. 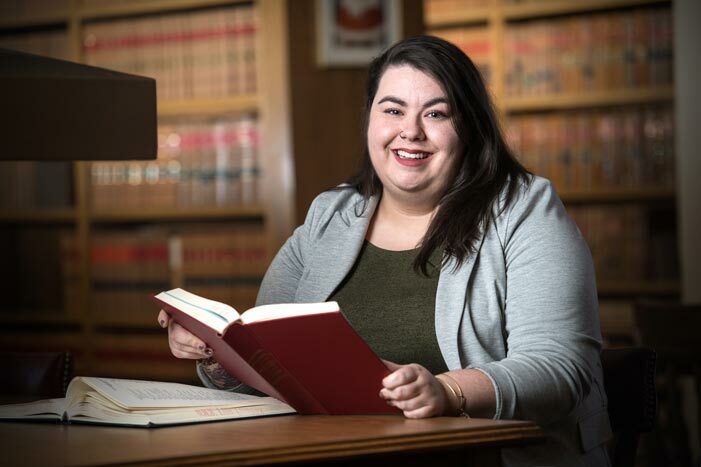 Since it opened its doors in 1892, UNB Law faculty and staff have encouraged students to think critically and pursue the areas of law in which they are most passionate. In honour of UNB Law’s 125th anniversary, and in support of the Law 125 Opportunities Fund, a gala dinner will be held on April 21, 2018 at the Delta Fredericton. The keynote speaker at the gala event will be PEI Premier and UNB Law alumnus Wade MacLauchlan while Madam Justice Margaret Larlee of the Court of Appeal of New Brunswick, a graduate of the UNB Law Class of ‘74, will be honoured with the 2017 Ilsa Greenblatt Shore Distinguished Graduate Award. Over the years, UNB Law has graduated thousands of students. Apart from becoming prominent lawyers in New Brunswick, graduates include Supreme Court justices, prominent political figures, law school deans and heads of successful companies. For recently appointed Nova Scotia provincial court judge and UNB Law alumna Amy Sakalauskas, law school was challenging and fulfilling. It was also a place with a strong sense of community. Ms. Duplessis sees herself continuing to pursue her dedication to curb domestic violence as well as her advocacy for mental health supports, sexual assault survivors, missing and murdered indigenous women, girls and two-spirit people. Register now for tickets to the April 21 gala, or call 506-453-5053. Photo: Third-year UNB Law student Desirée Duplessis is an advocate on behalf of victims of domestic violence and sexual assault, and missing and murdered indigenous women, girls and two-spirit people. Credit: Rob Blanchard / Photo UNB.